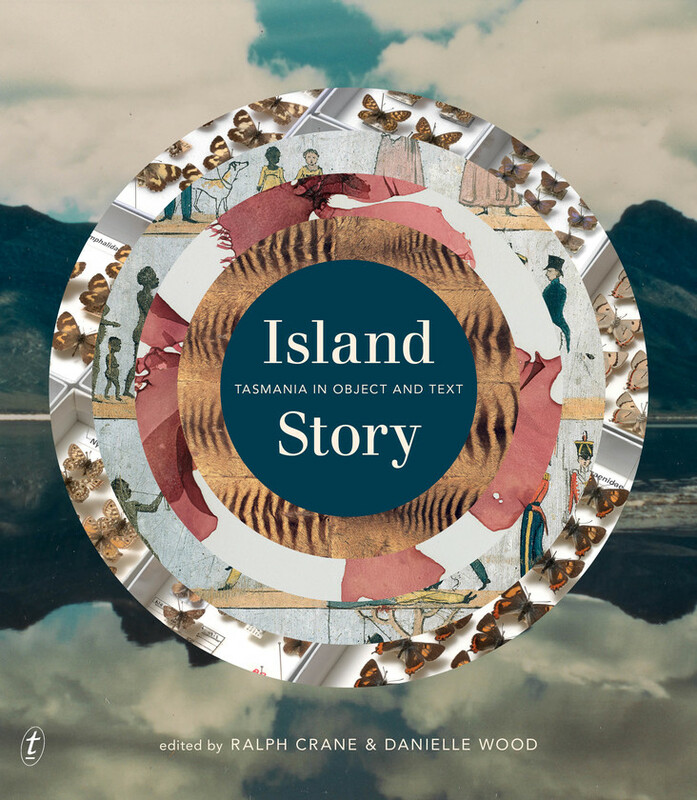 Island Story, edited by Ralph Crane and Danielle Wood, is a beautiful book compiling items from the Tasmanian Museum and Art Gallery with a selection of original writing. Arianne recently interviewed Danielle and Ralph about what inspired this unique book, and its journey from idea to publication. Ralph and I worked together on a previous book, Deep South: Stories from Tasmania, an anthology that brought together more than 20 stories from the history of Tasmanian writing. For that book, we limited ourselves to short fiction, but often during the process of compiling the book, we found writing about Tasmania in other genres – poetry, novels, non-fiction – that we also really loved. At first, we planned to follow up Deep South with an anthology of Tasmanian literature, but then we decided that an anthology might have a somewhat limited appeal. Then we hit on the idea of pairing objects and images from the TMAG collection with Tasmanian writing in all forms, and we were thrilled that our publisher – Text – agreed with us that this could be a very exciting project. It took about three years to make Island Story: Tasmania in Object and Text, although Ralph and I were of course doing other things – writing other books, working in our respective roles at the University of Tasmania – at the same time. It was a very consultative process, involving many meetings and follow-up meetings with curators at TMAG. It is also a significant undertaking to bring together the work of nearly 60 writers. Even once the works have been chosen, there’s still a lot to do in terms of clarifying copyright status, requesting permissions, transcribing the works (in many instances), and checking, double-checking, and triple-checking that we have everything right. Can you tell me about the process of pairing the writing with the objects? Did you ask writers to create original pieces inspired by the objects, or did you pair them with existing work? We did not commission any works for Island Story. Rather, we were interested in bringing to light, or bringing back into the light, various works that might have been overlooked or forgotten. Not all of our texts fall into this category, but a good many of them do. We first discovered Joan Wise’s short fiction when we were working on Deep South, and have anthologised her work in both our books. Although Wise was known to have published children’s fiction in the 1970s, her 1950s short fiction had been all but forgotten after it was published in The Bulletin. We are very happy to be able to share her work with a wider audience through both Deep South and Island Story. Island Storyalso includes the transcript of a speech by Bob Brown from 1983, which exists in a pamphlet at the Tasmanian Archive and Heritage Office, and a brilliant short story by Tasmanian Aboriginal elder Jim Everett, which we found in a collection of papers held by the Morris Miller Library. We were keen that, in Island Story, neither the objects nor the texts were pre-eminent. Many of the objects and images in the book were chosen by TMAG curators, when we asked them – ‘what do you have in your collections that you, personally, find exciting or inspiring?’ We took their suggestions, and then used what we knew about Tasmanian literature to search for the perfect textual counterpart. But, in some instances, we took texts that we wanted to include back to the curators and said – ‘what have you got that might “speak” to this text?’ So, sometimes it was object in search of text, and other times it was text in search of object. We had some wonderful moments of serendipity, such as hearing Peter Hay read his poem ‘Emu Eats the Future’ about a historic King Island emu taken by French explorer Baudin back to Paris to live in the garden of the Empress Josephine. We asked TMAG curators if they had anything to illustrate the poem, and we were amazed to learn that TMAG holds a single feather, sent back from Paris, from the taxidermied remains of that precise bird. What were the most enjoyable and challenging parts about the process? The enjoyable parts of putting the book together were visiting the museum, meeting the curators and learning from them, and hunting about for texts. Both of us enjoy a good search in a dusty archive! The challenges came in the form of all the behind-the-scenes work that I mentioned earlier – the copyright concerns, the permissions, the transcribing and meticulous checking. What were some of the most surprising things you learnt while researching for the book? We were reminded, by the process of putting the book together, to think about how TMAG operates as an institution. We were reminded that museums aren’t static institutions. Rather, museums are always collecting, as the present moment will, in the future, be regarded as history. We wanted to draw attention to the status of the TMAG as a museum of natural history, which holds zoological and botanical specimens for their intrinsic scientific value, as well as drawing attention to TMAG as a repository for human artefacts and records. Do either of you have a favourite object? One of my favourite objects include the thylacine jawbone pincushion, which was entered in a craft display at an agricultural show in Glamorgan in 1900; it’s paired with a prose poem that I wrote about that object. Another favourite is Louise Lovely’s travelling case. Louise Lovely was a silent movie actress who appeared in the film Jewelled Nights, based on the novel by Marie Bjelke-Petersen. An excerpt from the novel is paired with images of the travelling case. I know that one of Ralph’s favourites is the model of Old Government House, paired with an excerpt from Wild Island by Jennifer Livett. A pairing that we both find very resonant is that of a selection of Tasmanian Aboriginal baskets with a ‘found poem’: a list of the names of the Aboriginal women who are the likely makers of the baskets. Are there any plans for a second edition?